One of the most experimental and poetic designeres of our time, Yohji Yamamoto revolutionized fashion in the early 1980s and has enjoyed legendary status ever since. 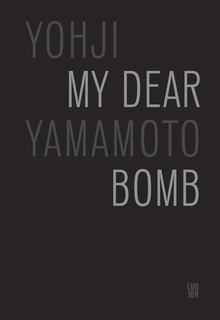 His new autobiography, My Dear Bomb, is playful, sensuous and searching, like Yamamoto himself. The following excerpt is from the chapter, "An Artist." 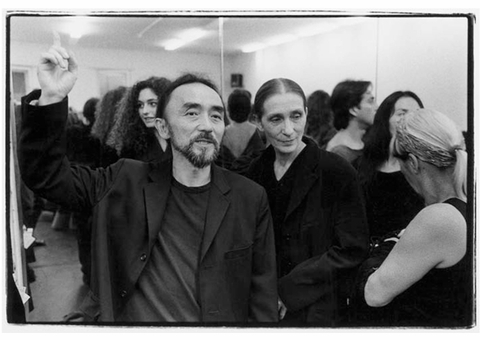 Yohji Yamamoto and collaborator Pina Bausch at the 25th anniversary of her company, Tanztheater Wupperthal, in 1998. "Sketches do not determine the clothing. It is, rather, the fabric and the human form that can guide one towards the discovery of a personal mode. I have repeatedly said, "Are you listening? The fabric has much to teach us." How does the cloth want to drape, to sway, to fall? If one keeps these things in mind and looks very carefully, the fabric itself begins to speak. "This is the type of clothing I wish to become." Indeed, the fabric itself begins to speak. The morning after a man and woman have spent the night together, she might say, "I'm going to jump in the shower. Let me borrow this for a minute, okay?" 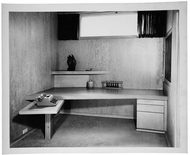 She may throw on one of his white shirts made of broadcloth, and though it is too big for her, it will conform to her shape. The brightness of the shirt will flow to the peak of her breasts, the pleats will gather at her elbow, and the shadows will stretch across her chest. I have made clothing entirely in hopes of recreating such bewitching, totally unexpected visions. 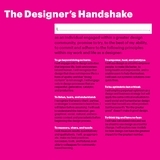 To design with the intention of capturing a charm that has emerged by chance is a paradoxical undertaking. For me the solution lies in the weight and tensions of the fabric, and that is why I am a stickler for the weave of the materials. We go through endless discussions about whether it is possible to make the fabric thinner or eliminate the neps (bunching of fibres that occurs when spun threads are woven together) of the woof as it appears when the cloth is held up to the light. There is an indescribable beauty in the sight of thousands of threads stretched tightly to produce precisely the sort of warp that I have envisioned. The experience must share something with the Wright brothers bringing into existence a successful flight precisely as they had imagined it all those years. When I speak of the "weight" of a fabric I am not referring to its weight as measurable in some objective sense. Rather, I use the term to indicate its relative density, the way the fabric will fall when it is draped on the body. This point is of crucial importance. If the relative density is high, the fabric will drape well on the body. When I speak of the "tension" of the fabric I am referring to the interplay of the woof and the warp. If the fabric is dense in this sense it will feel heavy when taken in hand, if its density is lower, it will feel light. It should be noted that when skillfully cut and reborn as clothing, any remaining sense of weight in the fabric will disappear the moment it makes contact with the living body. Clothes made of fabric with a high relative density will slip off a clothes hanger just from the force of their own weight. Use this same clothing to dress a living human being, however, and that person will not notice the weight at all. There is a pre-established harmony at work here, and the secret to bringing it out lies in the cutting. Clothing is, ultimately, made to be worn. It is complete only at the instant it is donned by a living human being, a person experiencing the love and sadness of each second in time. Only at the moment it is donned does the clothing fulfill its destiny. 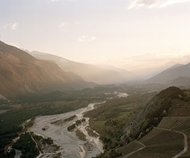 The nature of the person who makes the clothing is also an integral factor. What sort of life does he lead? That approach to life is clearly revealed in the clothing. The process might begin with a line drawn boldly, sincerely, on a scrap of paper by a practiced hand working like a finely tuned piano. This line may then be embodied in a fabric with a certain weight. In time it will be stretched into a garment, and there it takes on a life of its own. It begins to sing. It sings of indiscretions from the night before, it sings of the morning's sunlight filtered through the trees. In the end the garment leaves the purview of he who designed it. In time it will experience a chance encounter with one who will wear it. Will that person who dons the garment hear my song as hidden within it? That issue, in fact, is unimportant. The intentions of he who made the garment are nothing in comparison to the lived experiences of the person who wears it, nothing in comparison to the stolen pleasures enjoyed with a mysterious woman. Haute couture, the presentation of a perfect item to a specific person. There is nothing in that practice that suits my personality. That is just a fact of life. To live is to experience a sequence of singular chance encounters. It is a string of coincidences. Life is formed by joining together those fleeting, frozen moments in a string of beads, each moment almost unbearable for the randomness of its appearance. Is there any other way to live a life? To assume that the future awaits youth would be a fearful mistake. On the contrary, I have far more of future than most youth. They speak of the ceiling hanging low, pressing down on them from above. I know nothing of that sentiment. 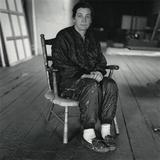 Rather than prattle on endlessly about art and concept, one is better served by living. Embrace both the bitter and the sweet that come with working from the heart, working with one's very life on the line. I live, I take pleasures where they are afforded. Everything starts from embracing life itself." 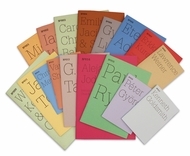 Pbk, 6 x 8.75 in. / 192 pgs / 25 b&w.